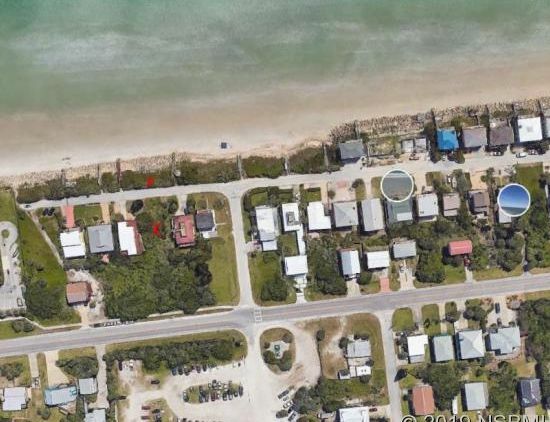 A feature of this lot is that it's on the no driving beach area and that it is on a dead end street with only five houses. ROCK REVETMENT.Build your dream beach home! Quite area. Walk to JB's. Close to Canaveral Seashore, Bethune Park with basketball court, tennis/pickle ball court, children's playground, volleyball and a boardwalk along the river. Enjoy fishing or a stroll along the river and maybe catch a view of manatees that live in the lagoon during the summer. One of the last great lots on ocean in Bethune.